SOURCE had the opportunity to interview Jamie Meiselman, Founder/President of Solite Innovations. 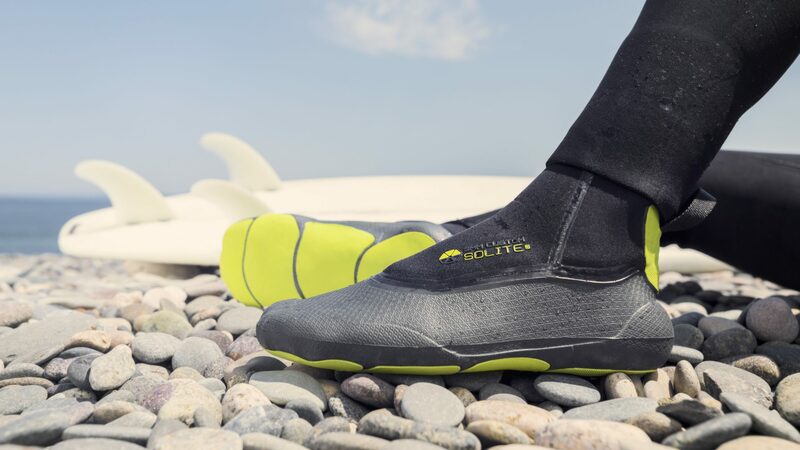 Solite focuses on innovating high-performance wetsuit boots that are designed to be incredibly lightweight. Using emerging technology to create this niche product allows retailers the opportunity to custom-fit Solite boots using a heat-molding process on the shop floor. Below you can read the full interview on what are GAME-CHANGING BOOTS. Please give an overview of how and why the company began? I have a background in the snowboard industry going back to the late ‘80s (editor of TransWorld Snowboarding magazine through 1995) and on the snowboard boot product side (Airwalk, Blax, Burton) through the 90s. I’ve also been a surfer/skateboarder since I was a kid. Back when I was working on snowboard boots, I was one of the first people to test heat-moldable snowboard boot liners when I met the guys from Intuition Liners up in Vancouver on a consulting trip for Airwalk. After that trip, Airwalk introduced the Evolution Boot, which was the lightest snowboard boot at the time, and featured the first heat-moldable Intuition EVA liners in the industry. At the time, I was really impressed with the strength/weight ratio and the flex profile of the EVA material they were using, and the fact that it was thermo-formable with heat was equally valuable. With high-performance sports like snowboarding (and surfing, and other watersports), you need precise-fitting and lightweight footwear for a quick response. During this period, we also started experimenting with injection moulded EVA technology, which was emerging at the time and used primarily for mid-soles in footwear. We introduced the first injected EVA midsole on a snowboard boot with Blax in the mid-90s. The best thing about the injected technology was you could get a consistent density of the finished part, something you couldn’t get with the standard compression moulded mid-soles at the time. Also, the moulds were really cool: they were about half the size of the finished part. So when the mould opened, the injected part would pop out like a popcorn kernel. The injected technology also reduced the waste and amount of material compared to stamped/compression moulded parts. This injected foam technology progressed throughout the 2000s as most footwear companies started using injected midsoles, and CROCS took it further with entire shoes made from this technology. I was out of the snowboard industry by this time, but I always had this idea in the back of my mind to make injection moulded surfing gloves using this technology. 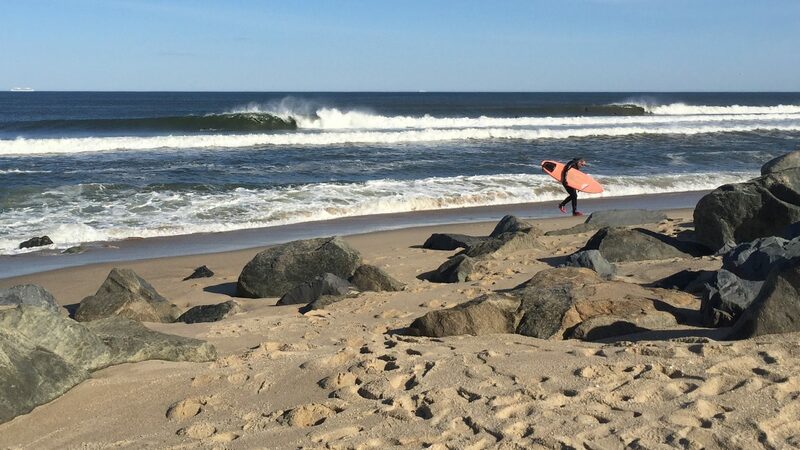 I had been surfing in the Northeast US for most of my life, where you need boots/gloves/5mm hooded wetsuits for a good part of the year. I had always been frustrated with boots and gloves, as they were leaky, cumbersome, and heavy with the traditional neoprene glued/stitched construction. It seemed most of the wetsuit boot/glove development was being driven from the surf industry in Southern California or Central California, where the water didn’t get nearly as cold as what we dealt with in the Northeast. So on a whim, back in 2011, I decided to invest in an injected EVA glove mould to see how a one-piece, seamless EVA glove would perform. The first prototype was nearly impossible to get on my hand (the wrist didn’t stretch enough) and it was really stiff. BUT, weight and the warmth of the material was intriguing enough for me to keep developing the product. Fast forward another 3 years of R&D and testing, and we released our first Solite Boots as a collaboration with Body Glove in Fall 2016 (Body Glove/Solite Red Cell Boots), followed by the introduction of Solite-brand boots in Fall 17.
Who is on the management team, and what are their backgrounds? In the States, it is myself and Tyler Callaway. Tyler handles most of the global marketing and business development for both domestic and emerging international markets. I handle the product development and day-to-day operations. In Europe, we have Dee Caldwell running our UK subsidiary to handle distribution in the EU, and we also have Adi Kipling handling all European marketing/biz-development. Dee was sales manager for O’Neill Wetsuits Europe for the past 20 years, and Adi has a long surf/snow industry resume working for Billabong, Nixon, and Pukas in Europe. How did you guys come across this new technology for wetsuit boots? We didn’t “come across it.” We effectively had to combine several existing technologies to create a new and better way of creating a wetsuit boot. Prior to Solite, every boot was made with the same process: uncured rubber is glued to a neoprene sock, then vulcanized (cured in autoclave ovens) to make the final product. It’s been the same way since the 1960s. As mentioned above, it’s really about applying emerging technologies (foam injection) to new applications. The injection technology was invented for shoes, not watersports. But I combined three distinct manufacturing processes to create this product: First, we inject what we call the Thermofoam sole (a proprietary foam blend); Second, we bond thin rubber sole pods to the Thermofoam sole; Third, we bond a neoprene upper to the Thermofoam sole. The end result is a boot that is lighter, more durable, heat-moldable for a custom fit, and simply works better. Why is Solite game-changing for wetsuit boots? Our first impression of our boots are that they are incredibly lightweight. Thus the name (Solite). Our boots are nearly half the weight of traditional wetsuit boots. This is magnified in the water because our Thermofoam doesn’t absorb water when submerged, and also doesn’t “balloon” if it gets flushed with water. So our boots STAY light during surf sessions. You don’t trip over the toes on takeoffs and they feel like barefoot for the entire session. This precision is enhanced with the custom fit. By heat-moulding your boots with boiling water, you get a precise fit which means no place for water to pool inside the boots. You basically forget that you are wearing boots. What is the company ethos? Lean, Mean, and Clean. We are fortunate that in this day and age, there are a lot of technology solutions that allow you to reduce overhead and run a competitive business without huge headcount or infrastructure investments. This is critical when you are making a niche product. We want to stay focused on innovative products in the watersports space. We’re not going to introduce any me-too products. Anything we introduce has to be innovative and offer a clear benefit to what’s out there. 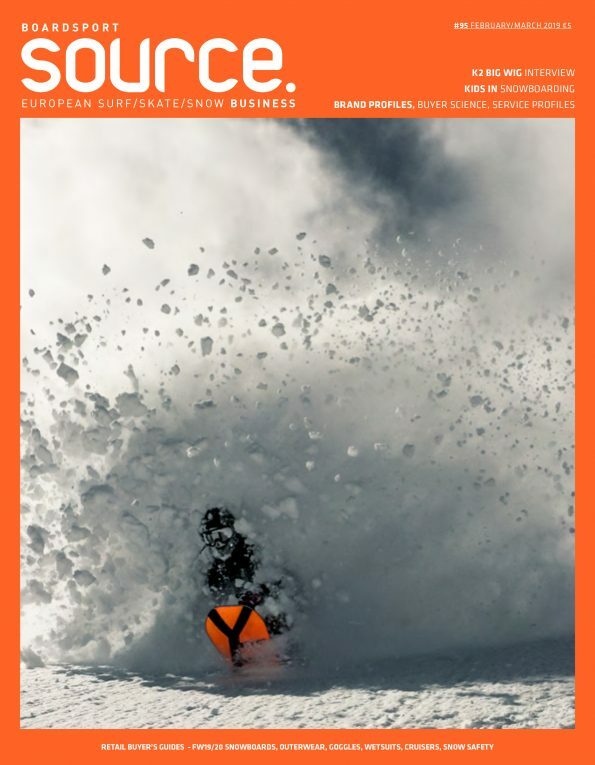 How do you support athletes and boardsports? They (athletes) are driving the development of our product 100%. Quite frankly, it’s the enthusiasm of the pro surfers who tested our boots early on that kept me going. These guys are surfing in cold water and making it look tropical. They are really responding well to the fact that we are focused on making better boots. It’s a mutually beneficial relationship: we keep improving the boots; they keep providing feedback. The better the boots get, the better they surf. The development/improvement cycle is endless. What other marketing are you running? Advertising-wise it’s all online: Surfline, Magic Seaweed, Stab. We’re also doing targeted ads on Instagram/Facebook, which is an incredible opportunity to reach our niche market. Lean, Mean, and Clean. As I mentioned, it’s possible to find our customers via Social Media and online advertising much more efficiently now. For example, doing ads on Surfline in a certain region when the water is cold and there’s a swell running. How much more targeted can you get? My biggest challenge is to keep ramping up our Instagram followers, as this gives us a direct line to our market (follow them here @soliteboots) and the ability to reach them with messaging for very little cost. Why should retailers sell your brand? It’s no secret that retailers need to provide an experience to customers that can’t be found online. Our custom-fit, heat moulding IS that experience. A retailer can custom fit our boots on the shop floor. All you need is running water and an electric kettle. The heat-moulding process takes about 10 minutes, and it’s an opportunity for a retailer to develop a relationship with a customer and drop some knowledge on them. Retailers need to provide these types of memorable, valuable experiences to customers. We want to stay focused on innovating high-performance, premium products. No plans to join the race-to-the-bottom competing on price. Right now I am focused on setting up a solid global distribution network and offering only premium, innovative products. I’d rather have solid global distribution with a small but premium-priced line than a broad, high-SKU offering.